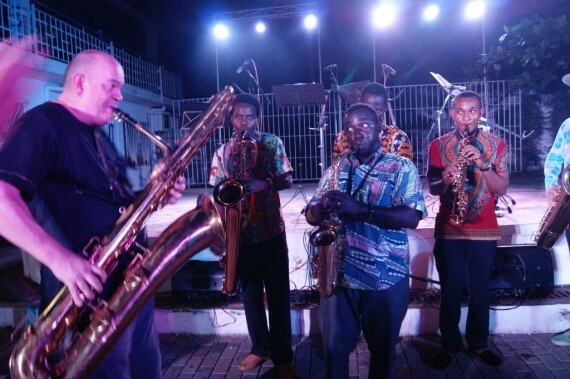 A group of Ghanaian saxophonists led by Stephen Aidoo Borsah last week joined an all-bass saxophone group from Germany to charm a near capacity audience at the Geothe-Institut in Accra with highlife orchestrations and improvisations. 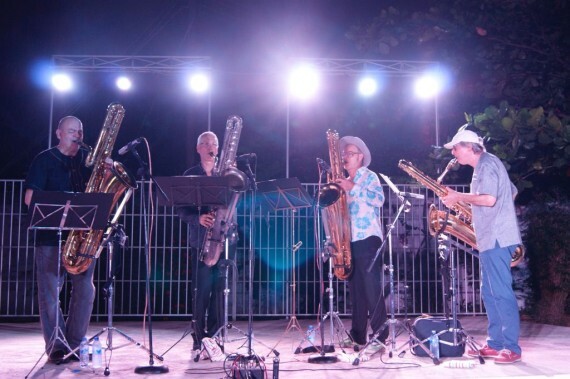 Employing rhythms from the Yaa Amponsah tune as well as compositions from Bessa Simon and Gyedy Blay-Amboley, they vigorously revealed the beauty of cross-cultural collaborations as cheers flowed from the multi racial audience. 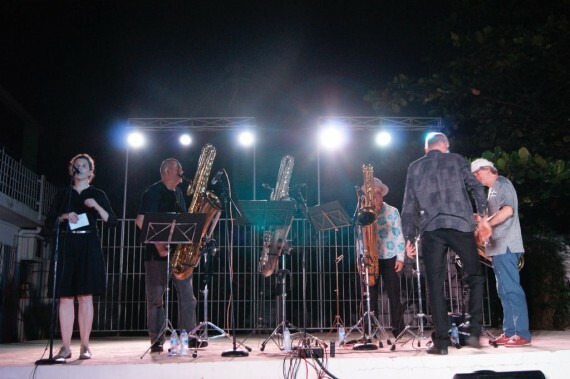 Urged on by continuous applause, the musicians moved within the audience as they performed the results of a one-day workshop, which was held to expose the artists to music traditions of both Ghana and Germany. 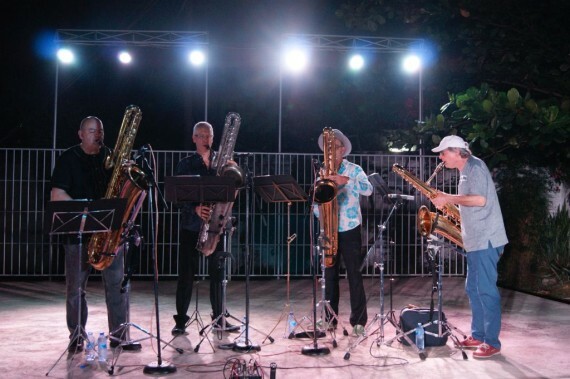 Earlier, Deep Schrott, the only all-bass saxophone quartet in the world, took the crowd on a cool musical journey with tunes that are characterized by tremendous emotional power, depth and sensitivity. 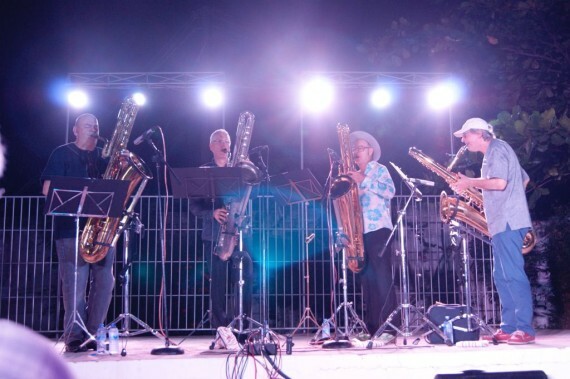 Indeed, they managed to get the audience glued to their seats as tune after tune revealed their ability to “stretch” only bass saxophones to their limits. Comprising Andreas Kaling, Wollie Kaiser, Jan Klare and Dirk Raulf, who are internationally well known as instrumentalists and composers, Deep Schrott delighted the audience with epic compositions from diverse musicians, which they interspersed with compositions from their own repertoire. 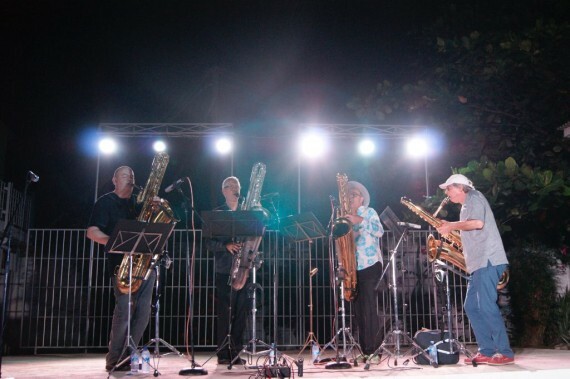 Noted for devoting themselves exclusively to the tonal and technical possibilities of the bass saxophone, the group surprised the crowd with fluid-like pitches as well as contrasting sounds while swaying them with basic melodies and durable grooves. 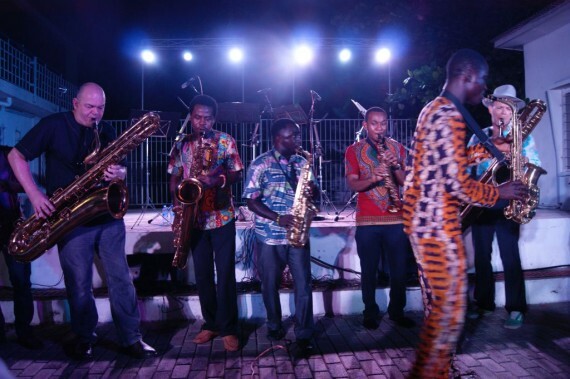 Goethe-Institut in Accra supported the concert.